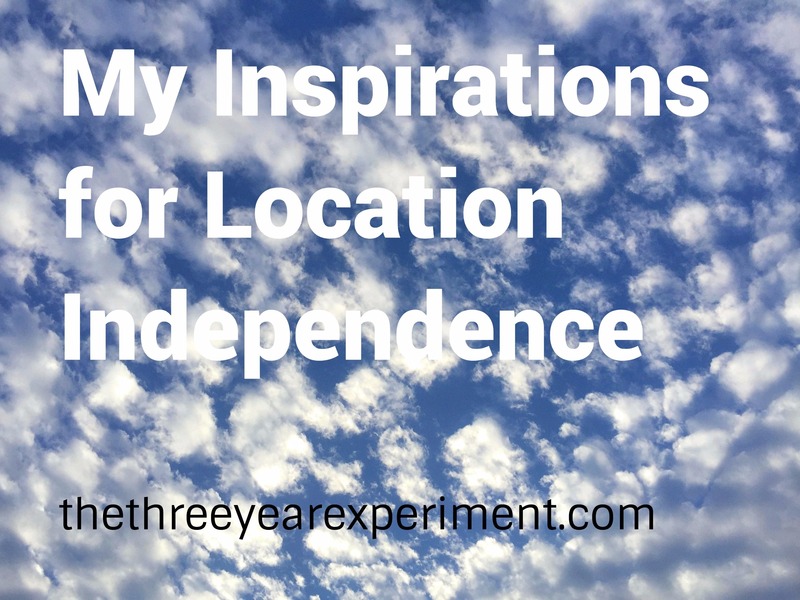 Location independence, or being able to travel or live anywhere independent of a job, is something that has always appealed to me. Part of the reason is that Mr. ThreeYear’s family lives on one continent, and mine on another. So we always feel caught in-between. But even before I met Mr. ThreeYear, I dreamed about dividing my time between two places, or traveling the world. Along the way, I’ve been inspired by people who have lived a similar life. 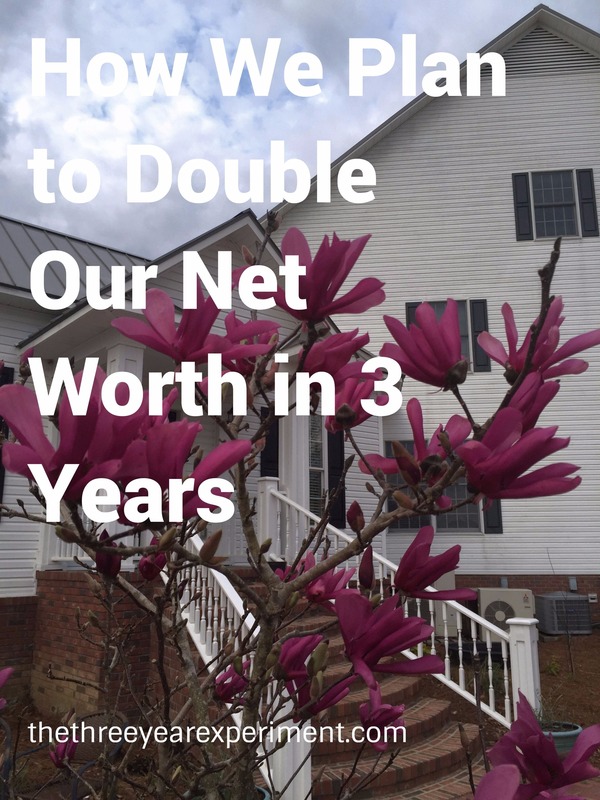 Our family is on a three-year journey to double our net worth and become location independent, so part of our strategy is earning more over the next three years. One of the ways we’re doing so is through my teaching position. But how do you earn big bucks in education? I admit that the title of this post is meant to reel you in. Because, as we all know, if you want to earn a big salary, then education is generally not the field to pursue. And, truth is, if you’re in education, you’re probably not going to ever make the big bucks that lawyers or doctors make (but kudos to you guys!). However, if you’re already in the education field, or you’re interested in pursuing a career that gives you summers off, may I recommend a way to make more money in education than the average salary schedule of a classroom teacher? Here’s the big secret: become a contracted service provider for a school district. I am a contractor for two school districts, and while I’m a part-time worker, my hourly rate is high enough that I’d be a six-figure income earner if I worked full-time, year-round. Surprised? So was I when I first started teaching this way. Read on for more details. First of all, what is a contracted service provider? It’s a person who provides some type of service to a school or district, but not on a full-time basis. Usually, specialists like ESOL teachers (that’s what I do), Reading Specialists, Special Education teachers, Curriculum Developers, psychologists, Physical Therapists, Occupational Therapists, and Speech and Language Pathologists can work with a school as a contractor. Usually, these professionals work on a part-time basis with the district, and may provide services for multiple districts. I am a contracted service provider for two school districts about fifteen minutes apart. I provide English to Speakers of Other Languages services for both districts. What this means, practically speaking, is that I am a 1099 contractor who owns my own business and provides ESL teaching services to both districts. In one district, I have two students with whom I work, and in the other, I have four. I work a total of about 30-35 hours per week at both districts. 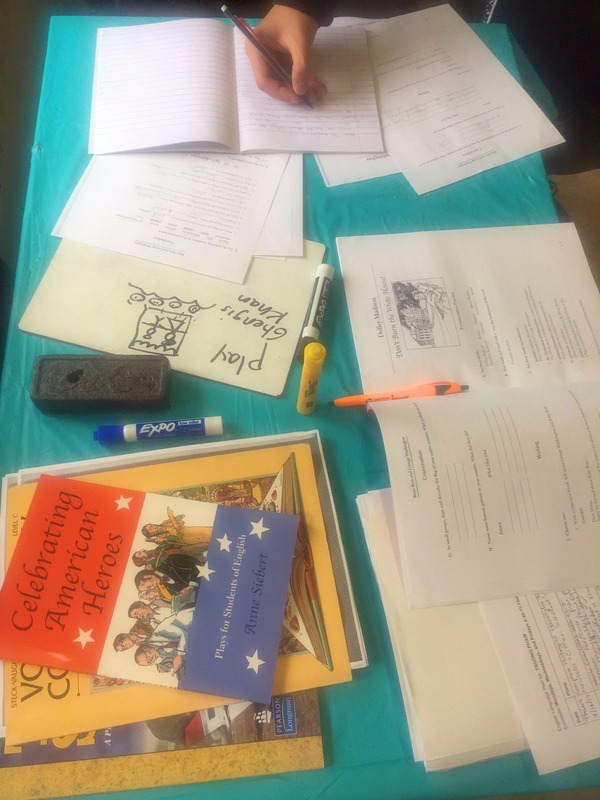 A view of my ESOL teaching table at one of the school districts I work at. Many school districts have just a few English Language Learners in their populations, so it’s hard to attract an ESOL teacher to work for just a few hours a week. If an ESOL teacher is able to find several districts with the same small population of students close to one another, then he or she can work part-time at several schools. This is not just true for ESOL teachers, but for Occupational or Physical Therapists, Speech and Language Pathologists, School Counselors, psychologists, and many other professionals. Mr. ThreeYear, apart from increasing the height and attractiveness genes of my children (thanks, honey! ), is one-half of the brains behind our location independence plan. He also has an incredible story of growing up in difficult circumstances and working very hard to make a better life for himself. 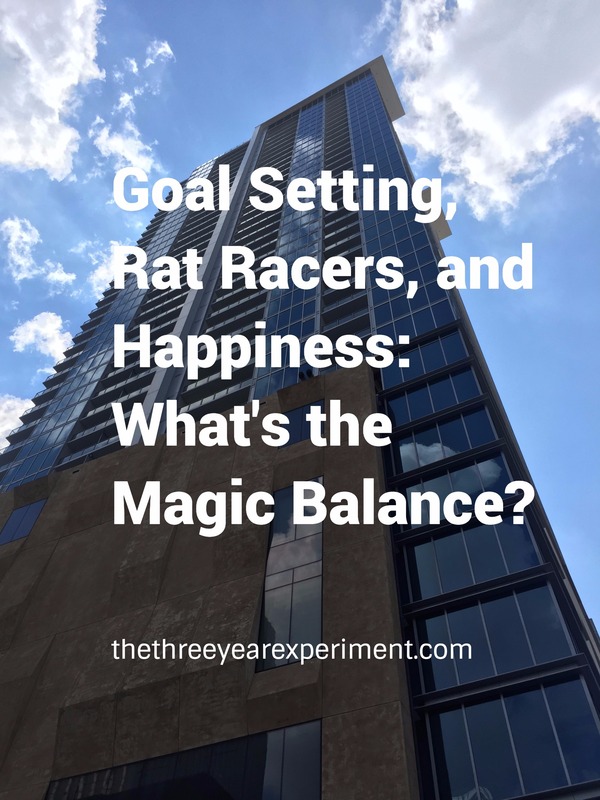 Since normally, I write the blog and Mr. ThreeYear just reads it, I thought I’d turn the reins over to him and allow him to share his thoughts on location independence, overcoming obstacles, and reaching financial independence. Can you tell everyone a little about your background? I was born in Santiago, Chile, in the mid-seventies. I grew up under the dictatorship of Augusto Pinochet. Our family was not really political; however, it was clear to see that it was not a smart idea to publicly oppose the government because of the consequences it would bring to your family. 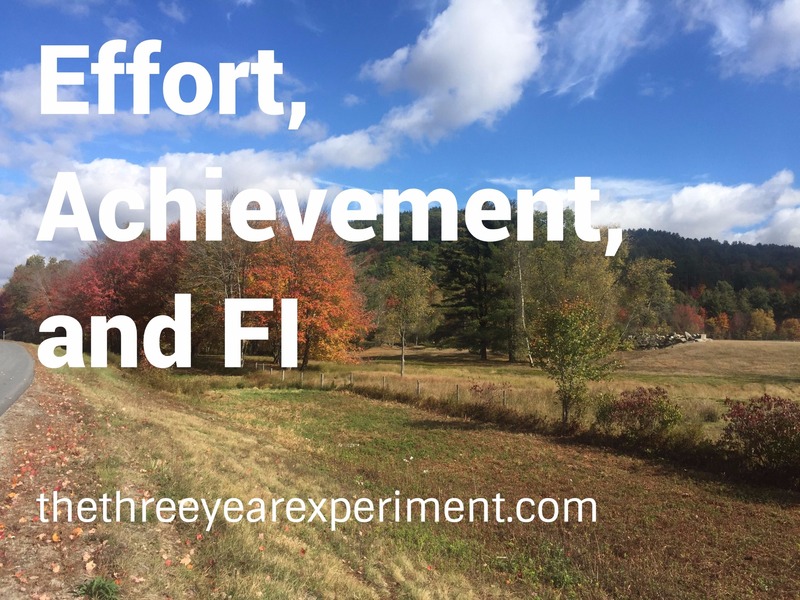 As educators, wrote an article I recently read, we must teach our students the relationship between effort and achievement. That is to say, there is a direct correlation between the effort we expend on a particular endeavor and the likelihood that we’ll have success in said endeavor. This may sound like a basic concept, but, like so many basic concepts, once you take a minute to unpack it, it has profound implications. The more effort I put into something, the more likely I am to have good results. Many times, I water that advice down in my head. I pretend there’s not a direct correlation between my level of effort and my achievements: “I’ll just run three times this week instead of four. I’ll skip the mid-range run.” Every time I skip a mid-range 6-mile run, my longer 10-12 mile run is super painful and I’m slower. Over an entire training period, that means I’ll run (even) slower on race day. “I’m tired, so I’ll wake up at 6am instead of 5am. I can still write a blog post.” That’s when I publish 2 posts per week, not three. Over time, I notice my page views slipping and readership going down. “I’ll just wing it in class, instead of preparing a lesson plan for the week. I can prep before class each day.” My classes are not as good, I’m scrambling for activities to fill the time, and over time, my students don’t make as much progress learning English. The truth is, consistent, daily effort pays off. It pays off in life, and it pays off (literally) when you’re working towards financial independence. If you’re just joining, our family of four is on a three-year journey to double our net worth and become location independent. 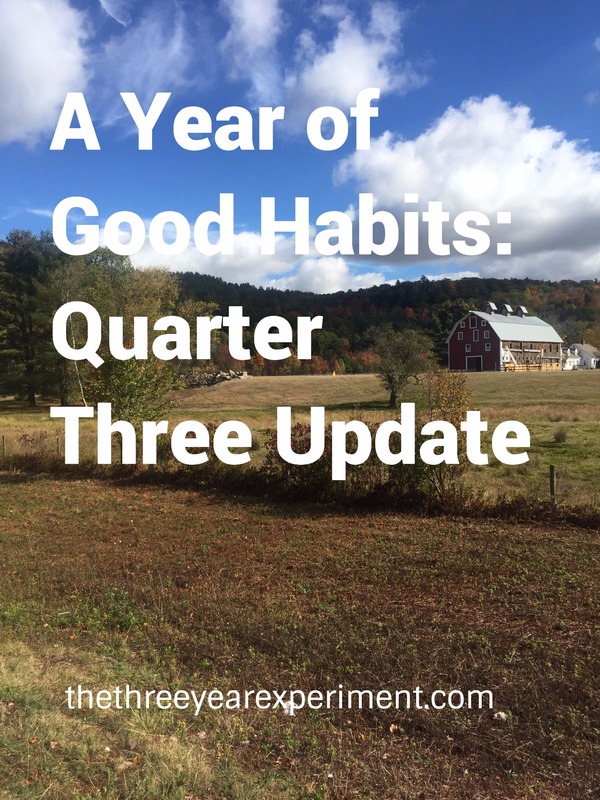 Each month(ish), I’ll keep you apprised of our progress. This year, we’ve got some major goals, including paying off our outstanding debt (car and apartment in Chile), replacing our roof, AND saving around $70,000. 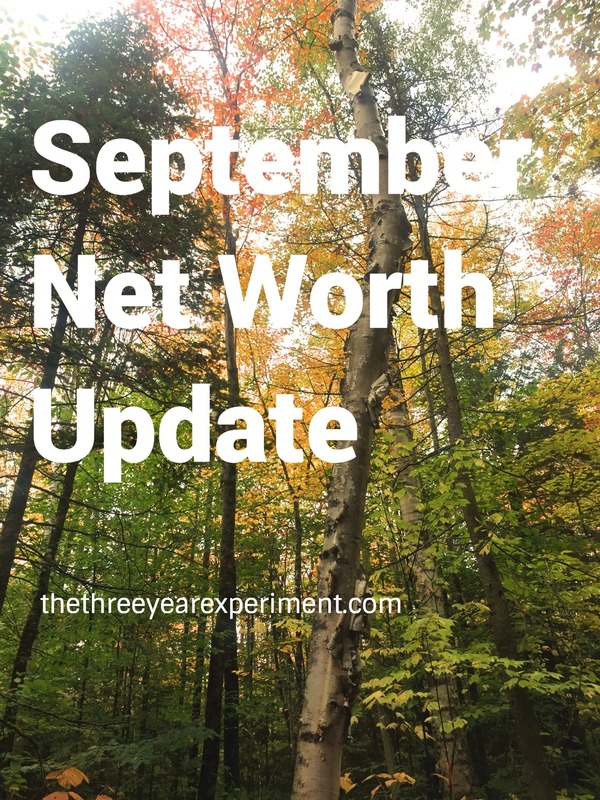 As of August, we were roughly 21% of the way to doubling our net worth. After an unusually warm spell, we’re finally getting the insanely gorgeous leaves New England is known for. As I drive to and from work, I’m privy to the most amazing shows of reds on the trees. We’re well into the school year. The Junior ThreeYears are adapting to their new classes and homework. I keep adding more students that I need to work with to my schedule, so I’m less and less part-time. I’ve literally used up all my hours in the school day and will now be eating lunch while working with a student. At least I’m paid hourly! One of the highlights of the month was my first solo girls’ trip in something like ten years. 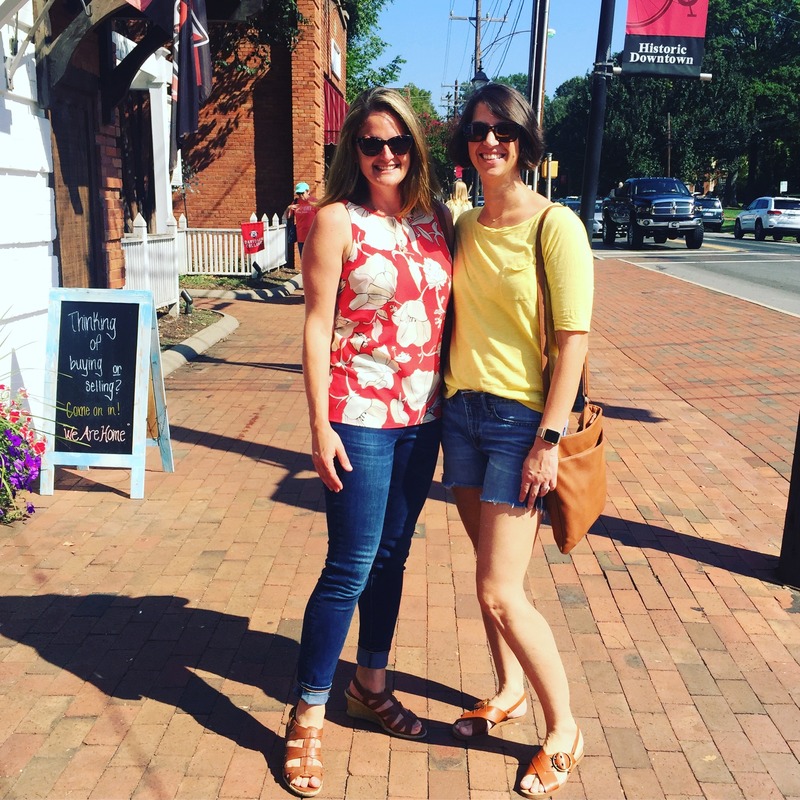 I met my best college friend at my sister’s house in Charlotte and we spent the weekend perusing a local farmers’ market, checking out local dining and brunch options, and catching up. I had such a great time that I vowed to take more of these trips. The best part was, Mr. ThreeYear and the boys had a wonderful time together at home. They went to the movies, went out to lunch at their favorite Mexican restaurant, and had a great time bonding while I was away. We spent gobs of money in September. Our biggest purchase was our tickets to Chile. Our plan was to buy them with airline miles, but in the end, we decided against that. Mr. ThreeYear wanted to go during Christmas and New Year’s, so it would have taken an insane number of miles for each ticket (something like 120,000 each). We didn’t have enough for four tickets and we thought it made sense to save them. Our second biggest purchase was my master’s course. I have three more to go after this. And I had to pay quarterly taxes as well, although those numbers don’t show up in our spending report. Since I’m working so much this year, I’m setting aside 20% of my paychecks for taxes. I may start setting aside 25%, just to be safe. It’s hard to know exactly what I’ll owe since the amount of money I make varies so much, so it’s better to play it safe. The stock market is still bullish, and we’ve seen our net worth rise again, despite our massive spend this month. It is nice to be earning a paycheck again, so we can reach our end-of-the-year-goals faster. I’m also so ready to be done paying off our apartment in Chile and our car that I’m wishing December was already here. Wait, didn’t I just write a post about staying in the present? Hello! Welcome to “Location Independent, International Jobs,” the Wednesday series where I showcase stories from people who have become location independent, work internationally, and/or continuously travel. I’ve interviewed all kinds of people who all have slightly different takes on location independence or living internationally. Recent posts include Joney Talks, Ruby from a Journey We Love, Pete of Do You Even Blog?, and Heather. The reason for this series is to showcase people who have already achieved what the ThreeYear family is working towards: location independence and/or securing international jobs. Today I’d like to introduce Jalpan, a mechanical engineer by day and personal finance/investing blogger by night. He blogs at Passive Income Engineering. 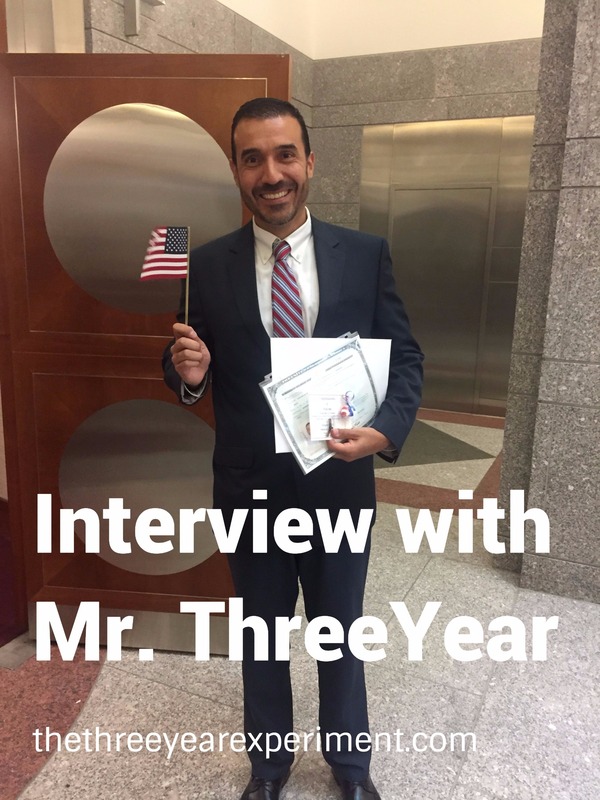 Jalpan’s post tells us how he moved abroad, first for college, then for a one-year international assignment in Houston, Texas. Let’s here the engineer’s perspective on international jobs! Take it away, Jalpan! I was born in India and moved to Jakarta, Indonesia with my parents when I was 6. I later moved to Singapore for college when I turned 17. I graduated with a bachelor’s degree in Mechanical Engineering. I’m 27 today and am single. I need to step up when it comes to putting myself out there and going on dates. 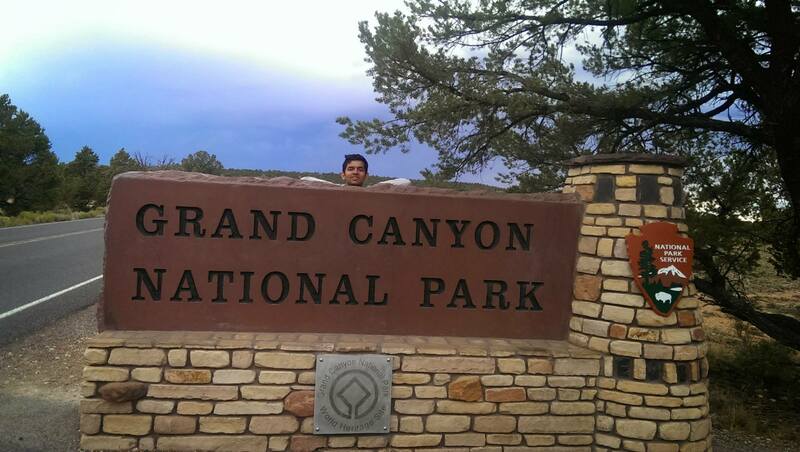 Jalpan spent a year working in the US, and made sure to site see while he was here! My blog is Passive Income Engineering and its main focus is on building scalable and sustainable streams of income that can run with little or no time on your part. I am an engineer and write with an engineer’s perspective. I want to know how things work and make them work for me. That’s how I came up with the name. My first move from India to Indonesia was entirely due to my parents. For college, Singapore seemed to be the best option for me since their universities are recognized internationally and place well in international rankings. I have always been interested in entrepreneurship and when I found out that my university had a work+study program specifically geared towards entrepreneurship, I was dying to go. It involved interning in a tech start-up and taking lessons in entrepreneurship at a partner university in Stockholm, Sweden. Lastly, my one year in Houston was a training assignment from my current employer. It was crucial to my professional development and since I was single and loved to travel and experience new cultures, it was a total no-brainer for me.